NOTE: Send a mail to scriptsandpapers@gmail.com. 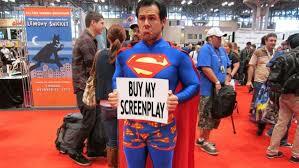 We will help sell your scripts to filmmakers, or collaborate with you to make your movies. A treatment should be about 2 , 3 or more pages in length (depending on either short or feature film) and should tell the story and the details in the script in a summarized form from beginning to end. Just don't be afraid! It may not be easy for someone to copy the content in your script after they read your logline/synopsis/treatment. 1. State the type of work (movie script, documentary script, TV script or ...? 2. State the target audience (Nollywood, Hollywood, ...? For the synopsis, you write it to tell the producer what the content of the script is about. It's also to tell him what to expect when he reads the script. A synopsis is simply a sketchy slight summary of the story in the screenplay. And for the expansion of the Synopsis, you have to observe the three act structure and give a detailed and comprehensible highlights of the events in each of the ACTS. It should be written in the present tense, showing what the viewer will see on the screen from one scene to the next, describing the action but omitting the dialogue. It is written in a way that allows the reader to enter far enough into the drama to understand the ways in which the story and characters will be treated, including a vivid sense of the characters' and story's attitudes as well as the movement of the emotional energy and its relationship to what the story is about. Most importantly, tell the story and don't explain it. Make it very active just like the way you wrote the script. The only difference is that it doesn't have the 'dialogues' like the main script. NOTE: Even if your story is not based on the 3 ACTS structure model as applicable to most amateur scripts, Just make sure you adhere to the other rules about telling the story. (i)Write on the characters. Describe their physical and internal features and behaviors.